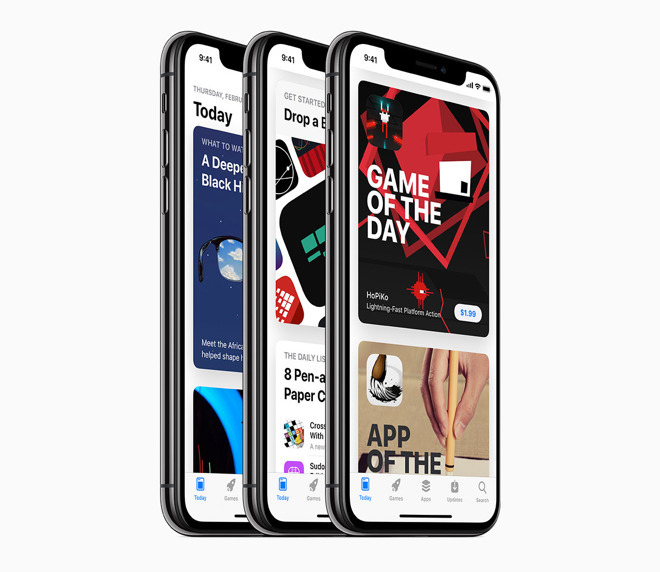 On Friday a fledgling group calling itself the Developers Union published an open letter to Apple, calling on the company to both expand free app trials and provide developers a livable revenue cut from the App Store. The group is being led by four people: Jake Schumacher, the director of "App: The Human Story," developers Roger Odgen and Loren Morris, and most notably Brent Simmons, responsible for popular apps like NetNewsWire and MarsEdit. Though the Union doesn't yet have a strategy for voting, collective bargaining, or any dues, it's hoping to recruit 1,000 people this week and reach 20,000 by early June, when Apple's Worldwide Developers Conference kicks off. Apple already permits free app trials, but only for subscription services like HBO Now. Enabling trials for all apps could help entice shoppers without making them pay for an unknown quantity. "Apple owns the App Store. Apple shapes its economics," Simmons told AppleInsider. "Those economics could give indies a better chance at making great apps that last — and free trials would be a big step forward. Not the only step, but an important one." On the revenue front, the Union said it wants to "advocate for a more reasonable revenue cut." Apple currently takes a 30 percent cut from most App Store transactions, the exception being subscriptions, in which case the cut can drop to 15 percent if a customer stays active long enough. App Store economics are said to primarily favor games with repeatable in-app purchases. Apps with a one-time fee can fall by the wayside, especially since their creators may not have a dedicated team. Apple will likely be resistant to any calls to share more App Store revenue, since that would eat into the company's skyrocketing services segment. At the same it could face pressure triggered by changes at the Microsoft Store, where later this year, 85 percent of non-gaming revenue will go to developers. For titles discovered through a third-party app or webpage, developers will get to keep 95 percent.